I first stumbled upon The Fat Hippo on twitter. 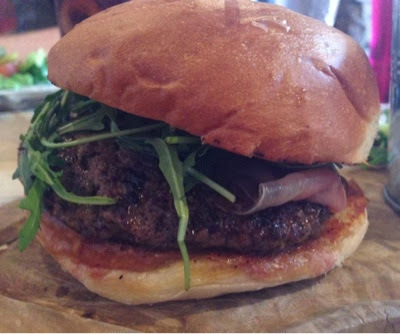 I am not normally a burger fan but the more I read about the place, the more photo's I drooled over and the more reviews I read on tripadvisor, I knew that these burgers were something special. I booked a table for Friday night. If you don't live near a metro station, Jesmond is not the easiest of places to get to and parking is a nightmare. The staff recommended taking the metro as the easiest option so we parked our car at Four Lane Ends (£1 to park all day) and took the metro 4 stops to West Jesmond. We were given directions on booking from the metro station and it was very easy to find. 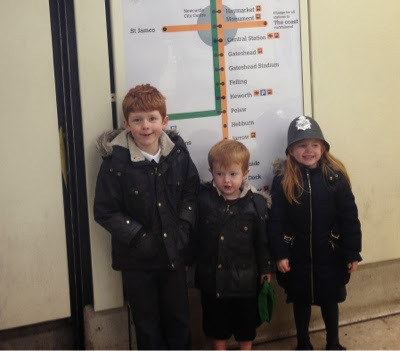 The kids love taking the train as it doesn't happen often which added to our adventure! We arrived at the restaurant and immediately felt at ease. 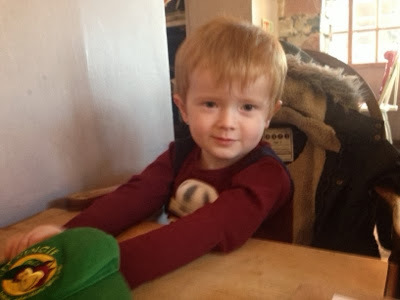 We were the only 'family' there and surrounded by students and couples but we didn't feel out of place - the staff were ever so nice and the atmosphere was loud and chatty so we didn't need to worry about keeping the kids quiet. 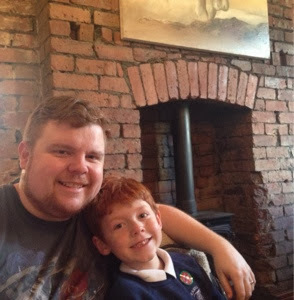 The restaurant was a lot smaller then expected and very cosy with a brick open fireplace. Indie/folk rock music was being played which gave the whole place a very informal and relaxed feel. It would be great to return child free and enjoy a couple of beers here. We tried not to be too distracted by the huge burgers coming out of the kitchen and browsed the menu. Tues-Fri between 5-7pm is happy hour where you can enjoy 1 course for £7, 2 for £9.50 and 3 for £11. Bargain! The burgers are so huge though I think I would struggle to order more than 1 course, although this would be a great option if you were going to make more of a night if it and spend a few hours here. 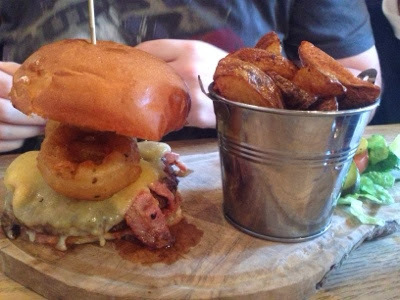 I decided on the Gastro burger which was served with Parma ham, pesto mayo and rocket with a side of triple cooked hand cut chips. The burgers are all made fresh daily on premises and are served 'pink and juicy' (as they should be). The quality really shows, my burger tasted AMAZING. It was most definitely worth £7. 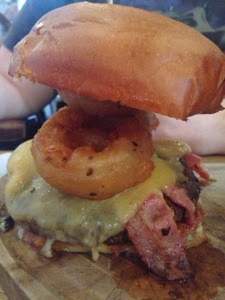 Hubby ordered the Texas BBQ burger which was served with cheese, bacon and onion rings. It was absolutely huge! Again, the quality was fantastic and it tasted amazing. 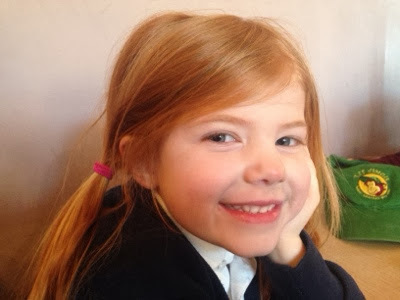 The children can order a chicken, bean or beef burger (well more of a slider) and because everything is made fresh they can order with/without sauces and salad. 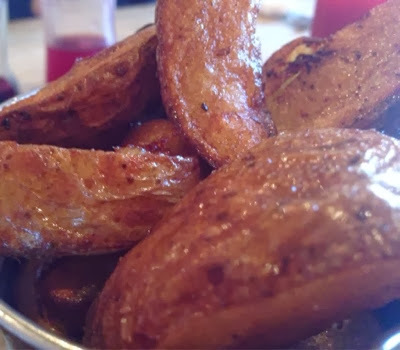 Quality isn't compromised and as with burgers from the main menu, everything is made in house. 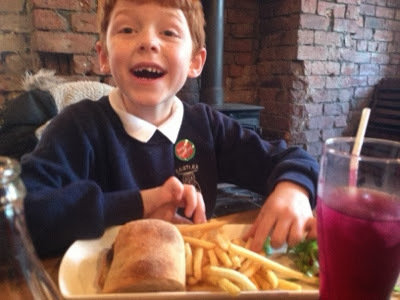 I was super impressed to be informed our 7 year old's beef burger would be served pink in the middle so it was nice and juicy and asked if this was ok. Lovely for our children to not miss out on how a proper burger should taste! The children's meals were served with a side of skinny fries and were a hit. 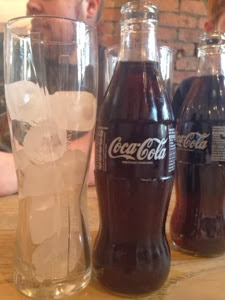 We were pretty boring on the drinks front, the kids ordered cordial and we ordered cokes. The table next to us ordered milkshakes which looked delicious and next time I think I will be tempted to order a coke float which is the perfect accompaniment to a tasty burger a think. Our total bill came to £35 which is fantastic value. We would have paid more than this if we'd dined in a generic chain I'm sure. 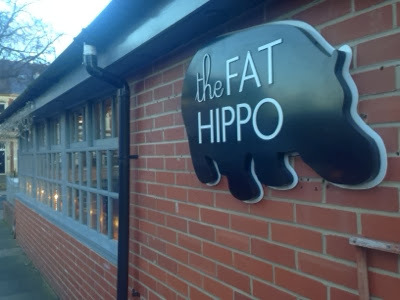 I will definitely be back to The Fat Hippo. I loved the laid back vibe of the place, how welcome the staff made us feel and of course, the delicious burgers. Booking is recommended as it's only a small place and very popular! I love Fat Hippo! There is a one near Theatre Royal called Fat Hippo Underground, this might be easier to get transport to? We can never manage more than one course, the burgers are so filling!